Francoise Collanges completed the graduate & postgraduate diplomas and an MA degree in conservation studies applied to clocks. She passed university degrees in History of Art and preventive conservation (Paris-Sorbonne IV and I) and worked as a curator for more than ten years in several museums in France. She started to specialize in conservation of clocks last year through the West Dean Diploma. Her MA project was centered on early electric clocks. Brittany Cox completed an MA in Conservation Studies at West Dean College. As a scholar of fine mechanics and antiquarian horology she specialises in automata and mechanical music. Prior to attending West Dean she worked as a jeweller for eight years and earned three international watchmaking certifications and a BA in Metaphysics and Epistemology. 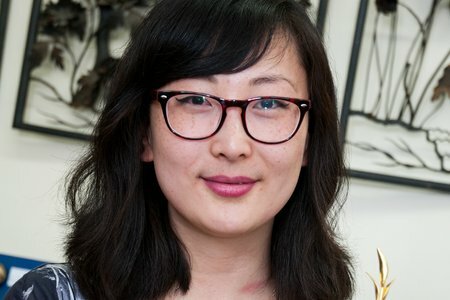 A hobby botanist and multimedia artist, her work ranges from mechanical to botanical life. She now has her own workshop in the US. Naomi Eden was a Graduate student in the Conservation of Furniture and Related Objects. Prior to this course she studied furniture making with Tom Kealy. She has also completed a Bachelor of Arts Degree in Graphic design at University College Falmouth. Having always been a crafty practical person, Naomi decided that graphic design was not a path she wished to continue following. Naomi is currently undertaking a year long internship with the National Trust, to learn more about preventative conservation, but she plans on returning to the workshop and interventive conservation. She intends on returning to West Dean to study on the Postgraduate programme. Scarlett Hutchin completed an MA in Conservation Studies at West Dean in September 2012. 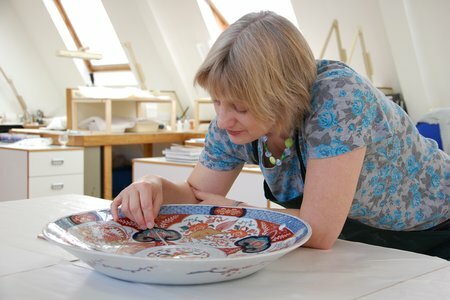 Prior to this she has studied 3D design, ceramics, textiles, silversmithing and jewellery, blacksmithing, fabrication and welding. Most recently she has worked as a self employed jeweller and a wildlife tour guide. She teaches jewellery making and lectures undergraduate students on the principles of metalwork conservation. Remco Ockhuijsen completed a professional development diploma in Furniture Conservation (and related objects). Prior to this he worked at Conservation Letterfrack in the Republic of Ireland, where he conserved everything from solid oak chests to flower marquetry. He completed an MBO in Furniture Making and Restoration at Amsterdam HMC. As part of his elementary training he worked for four years under a frame maker and then with a furniture maker. These formative years allowed him to master the basic functional elements of construction and design. This allows him to work quickly and accurately in restoration and conservation of complex and simple furniture and objects.